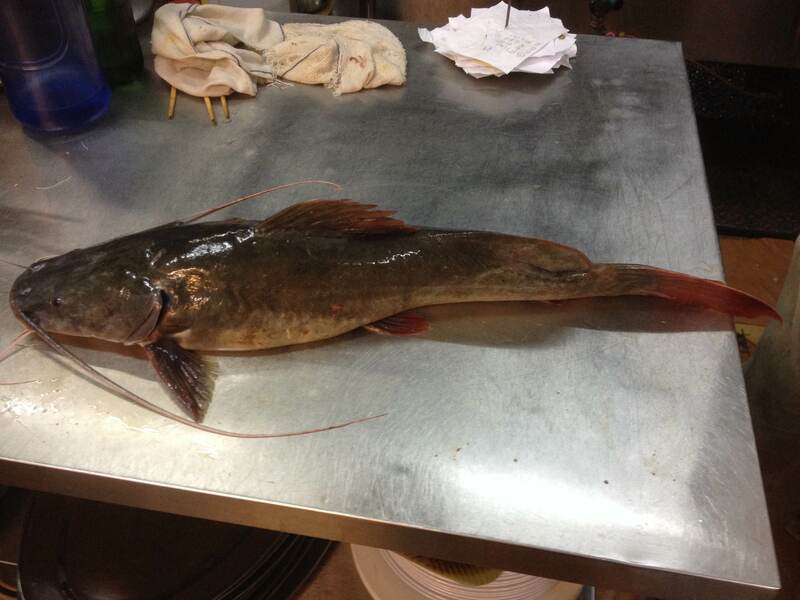 The Redtail Catfish is a type of small to medium size Bagrid catfish. It comes from South East Asia countries. It can be found in almost all of the rivers in Malaysia. It is benthic fish located in the tidal estuary of rivers. Some of it also inhabit in the water channel near the rice paddies. It likes to live in water that are not crystal clear, in depths between 2-4 meters. Its preferred habitats include those like lake without mud and the shore water around the dam. The fish head is flat conical shaped, cylindrical body, with a higher back hump. There are spikes after its dorsal spine and sawtooth at the leading edge of pectoral spine. The back saw tooth are very big in size. Both adipose fin and rear fin are quite big. The caudal fin is forked shaped and the upper lobe extends into filaments. There have 4 pairs of barbels, nasal, one upper maxillary pair and two pairs of chin barbels. The upper maxillary pair is very long. Each individual fish may weigh up to 10kg or more. Redtail Catfish is an omnivorous fish. Under natural conditions, juvenile fish feed on plankton, adult fish feed on smaller fishes, water insects, worms and others. The fish taste is a mix between the Loach fish and the Patin fish. Its meat is whitish, tender and delicious. Fish weighing more than 2kg are the best.